Most of you, including myself, were probably not aware until now that Luxembourg is famous for its unique pear varieties, which are very rich in tannins and have an exquisite fruity taste. These features make them perfectly suitable for the production of perry. 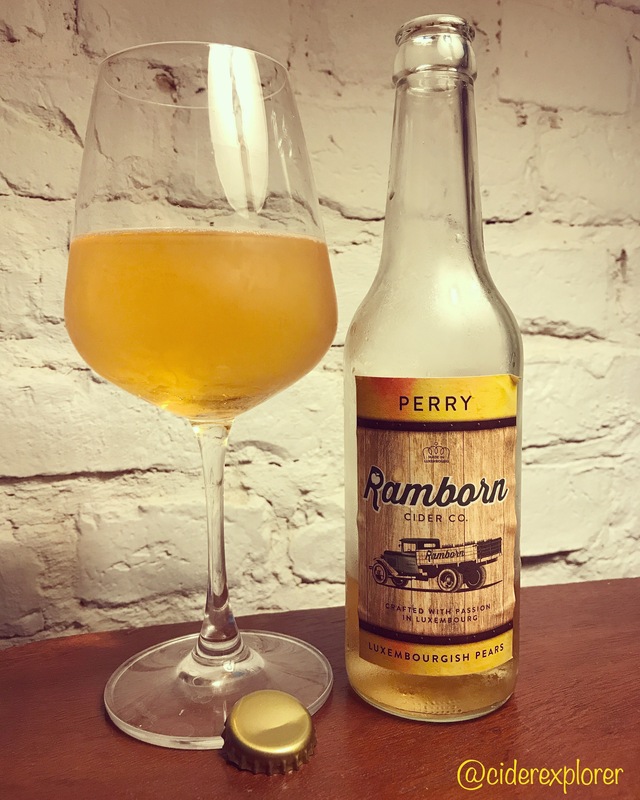 Therefore, this is not really a surprise that Ramborn Cider Co, the only cider maker in the whole Luxembourg created a perry from fruits coming from very old traditional perry orchards. Appearance: pours a clear golden with a large short-lived white foam. Medium artificial carbonation. Body is medium. Aroma/Nose: smells dry and surprisingly sweet at the same time, with notes of a sweet juicy pear, white wine notes, wood and distant herbal notes. Taste: the first taste is moderately sweet with no acidity to it. Subsequently, you get a strong tannic kick, where tannins coat the whole mouth. Interestingly, the tannins here are not aggressive like sometimes those in cider, but still very strong. Just different. After the initial kick, the taste gets more fruity thanks to notes of an overripe sweet and juicy pear with a touch of wood. The aftertaste has a lingering astringency and a chalky touch. Availability: In Luxembourg at their farm, at the Liquid, Le Bisdorff Hotel & Restaurant, Brasserie um Tennis. In Germany from The Hop Shop in Trier and online from Ciderei. In Switzerland from Ciderhouse.ch. In Italy through Sidro & Cider. In the UK from Crafty Nectar. 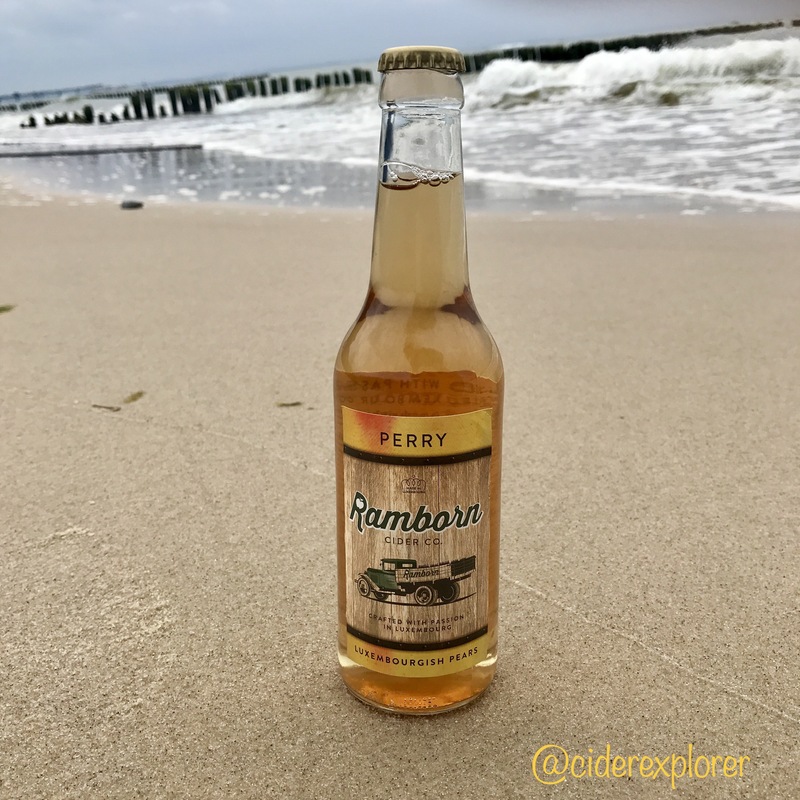 Price: Perry was sent to me by Ramborn Cider Co for testing. I’ve actually heard of this one! They are now exporting to the U.S., starting in Wisconsin.